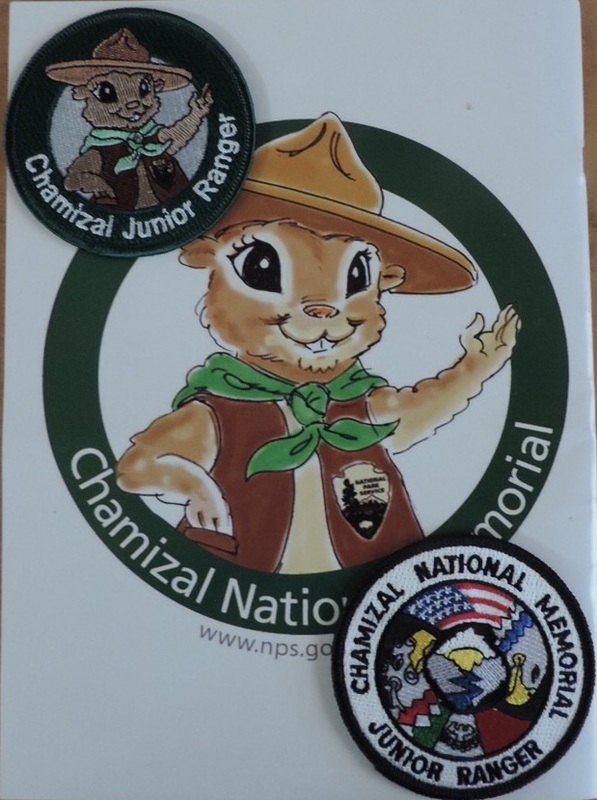 While attending the National Park Traveler Club’s (NPTC) annual meeting in El Paso at Chamizal National Memorial I completed this Junior Ranger program. This park celebrates the peaceful resolution between the United States and Mexico in determining the international border at this location. 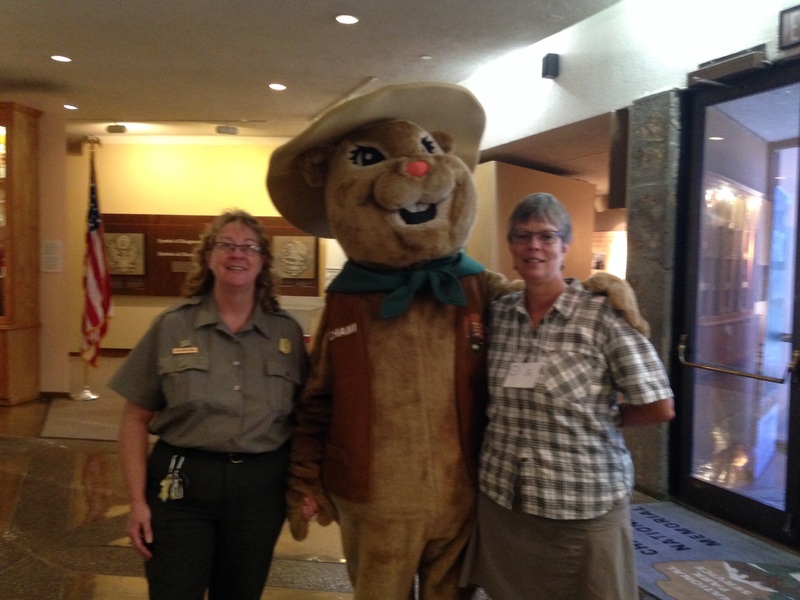 Prior to the meeting, the site had a Junior Ranger event, so Chami, their ground squirrel mascot, was on site to greet us. You are only required to complete the section for your age group. In addition, I usually try to complete sections not required, but my time was limited because of the meeting. Each category had up to five activities, unique and appropriate to the age grouping. For the Unity section the activities were; Park Walk Checklist with five locations, NPS sites, and sharing thoughts. 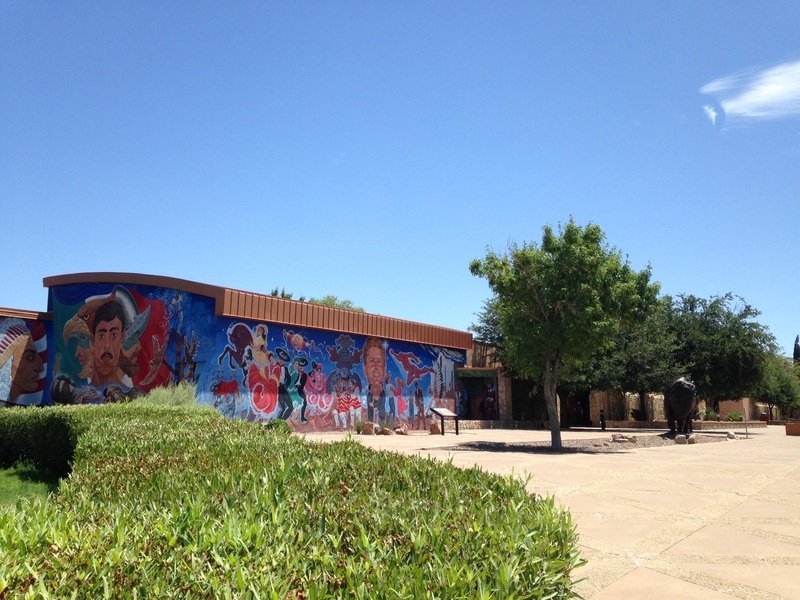 The Park Walk took the most time, exploring five locations on the grounds; In Front of the Visitor Center, Boundary Markers, Port of Entry, Cottonwood Tree and Mural. At each location you were asked you to observe and list sights, sounds, and a variety of personal reflections to give you a better understanding of this unique site, four pages of writing were done to complete this section. The next activity involved listing three other NPS sites in which you are interested, then answering three questions about your interest in these parks. On the last page you were asked to write about something special about your visit to Chamizal NM. I wrote about being there for the NPTC meeting. Just before the afternoon meeting started I brought my completed Unity section of the Junior Ranger booklet to the desk. A young volunteer thoroughly reviewed my answers, from his comments it appeared he appreciated my responses, especially those that reflected what I saw and heard while on the Park Walk. I appreciated his interest in reviewing my responses. 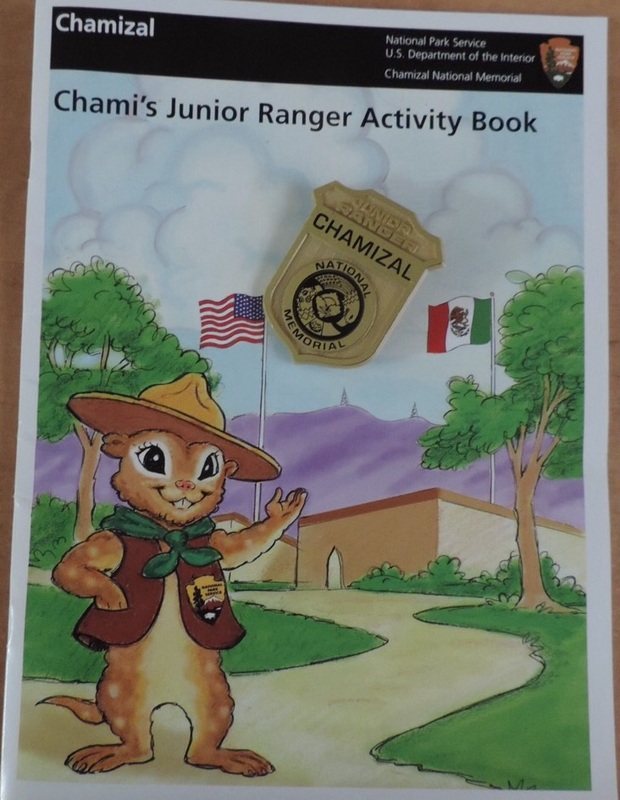 Besides completing the certificate at the back of the booklet, he presented me with an enhanced Junior Ranger badge and TWO beautiful patches! This is a park site I have visited several times over the years, by completing their Junior Ranged program I definitely learned more about the park.